Arrgghh! What is up with the pirates and why do we care you ask? 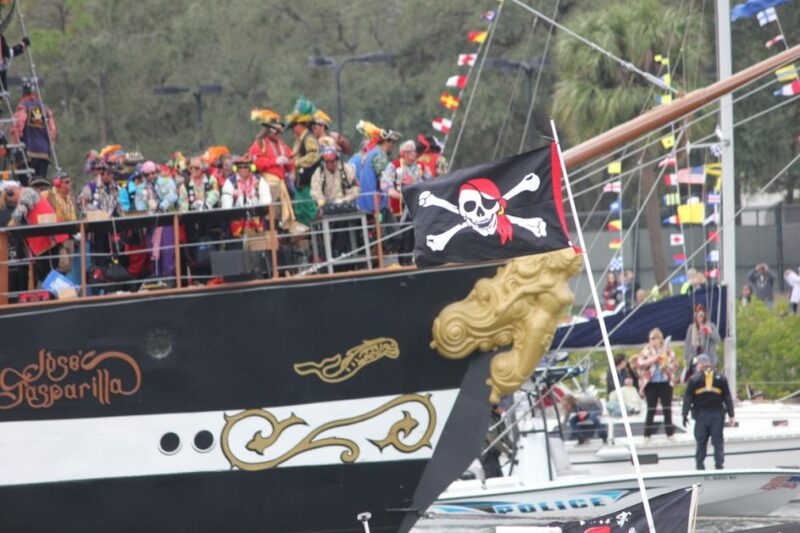 Welcome to Tampa and our annual Gasparilla Pirate Festivities! The parade celebrates the mythical Spanish pirate, Jose Gaspar. Who is fabled to have plundered from Louisiana to the southwest coast of Spanish Florida aboard his flagship the Floriblanca, Jose Gaspar or Gasparilla, is a product of advertising created for Charlotte Harbor and Northern Railroad Company, a part of Henry B. Plant’s railroad system. Yes, think Plant High School and the University of Tampa. Held almost every year since 1904, festivities occur from mid-January until early March with a variety of community events including parades, (runs), music and art. 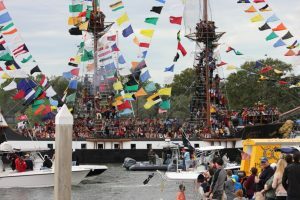 During this season of revelry, the area hosts 3 large parades, the Gasparilla Film Festival, the Gasparilla Festival of Arts, the Gasparilla Distance Classic, and the Gasparilla Music Festival along with numerous smaller events that vary from year to year. Like the mythical pirate himself, the event is not without controversy. Today, over 50 diverse Krewes march in each parade and local charities benefit from their participation. Gasparilla has become an exciting season of Tampa pride and camaraderie for city residents and visitors alike. 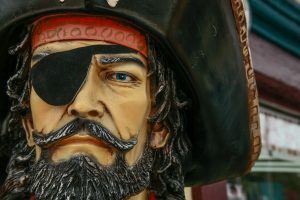 Join us, the Living Loving Tampa Team, as we explore the sights and sounds of this year’s Gasparilla Pirate Festival Season!